A St. Helena native, Paul attended the University of Oregon to study marketing and finance, but returned home to work at Joseph Phelps Vineyards between school years. “I realized I never looked forward to weekends because I couldn’t work. I was enamored with learning how to make wine, and anxious to go to work every day to learn more,” he recalls. That experience, plus an “epiphany” bottle of Howell Mountain Cabernet – “the most spectacular wine I’d tasted to that point” – was all Paul needed to determine he’d pursue a career in the wine industry. 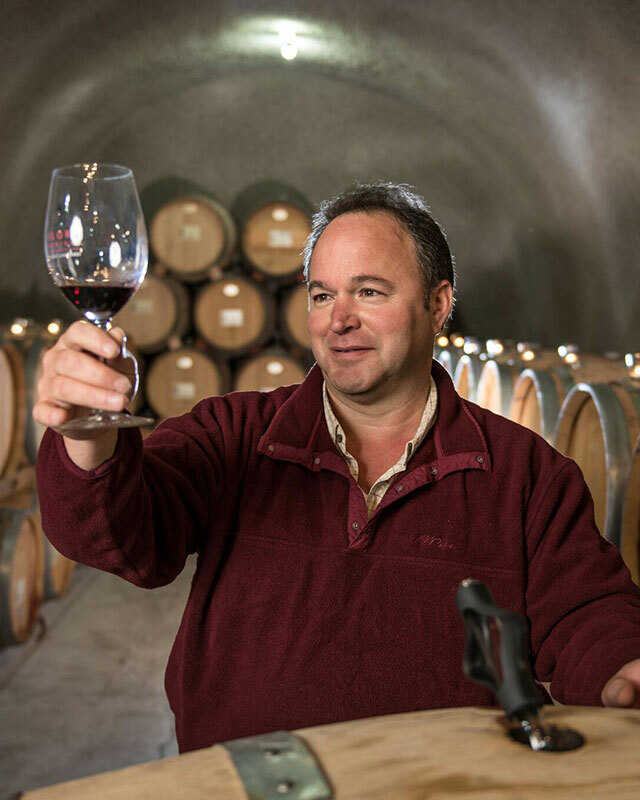 In 1990 he jumped at the opportunity to join the Flora Springs team as Assistant Winemaker. He was promoted to Winemaker in 2008. Paul is an avid fly-fisherman and golfer and an intrepid traveler: he has traversed all seven continents (including Antarctica), trekked through most of the world’s major winegrowing regions, and has visited over 40 countries.